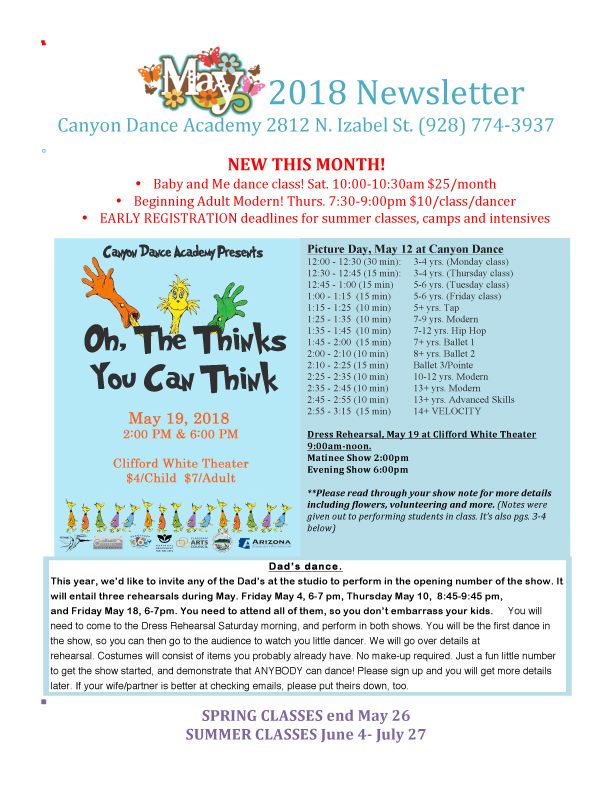 Location: Canyon Dance Academy, 2812 N. Izabel St. Flagstaff, AZ. NEW VENUE!!!! Please note that the show will now be at the Clifford E. White Theater on NAU Campus! Please tell your friends and relatives who are planning on attending. The Clifford E. White Theatre is facing Knoles Drive in the Performing Arts Building (building 37). It's the same building as Ardrey Auditorium.